Sedum 'Pinky'. 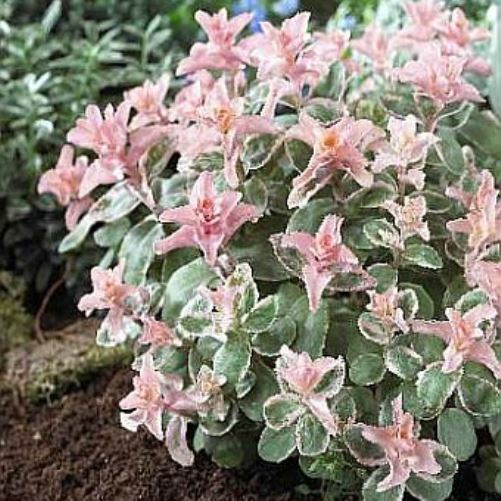 This unusual hardy stone crop features fascinating pink spring foliage. While the pink does fade rather quickly in early summer it is very fun to grow! PPAF. 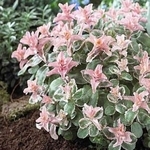 FLOWER: Light pink, mid to late season.